The fellow who recently received his 28th ticket for failing to wear a seatbelt would disagree. He was reportedly adamant with the police officer that it is safer not to wear a seatbelt. The rest of us might think he’s a bonehead. Perhaps he’s right, though. Perhaps we have all been brainwashed by the very effective propaganda that has led the vast majority of us to buckle up as a matter of course. Any specialist in crash injury dynamics (biomechanical engineer) worth his or her salt will agree that there are crashes where a seatbelt is helpful to reduce injury but also crashes where a seatbelt would actually make injuries worse. Have a look at the Canada Safety Council web site where very convincing arguments are made against having seatbelts on school buses, as an example. There seem to be exceptions to every rule. On the whole, though, statistics have shown that lives are saved by seatbelt use and I expect we would be hard pressed to find any biomechanical engineer who would disagree that wearing a seatbelt is a reasonable step to take to look after your own safety. There is a common sense legal principle that flows from that. It is built on the notion that while each of us has a duty to look after the safety of others (by driving safely), each of us also has the duty to look after our own safety. The legal principle is a defence called “Contributory Negligence”. If you choose not to wear a seatbelt, you are injured in a crash and your injuries are worse as a result of your choice, your legal right to fair financial compensation for your injuries and losses will be reduced. There will be no reduction unless it is proven (not by statistics but based on your specific injuries in that specific crash) that you would have been less injured had you been following the law and wearing your seatbelt. That was easy for the defence to prove in the July 5, 2013, decision of Schoenhalz v. Reeves. A 17 year old passenger in a single vehicle crash was thrown from the car, the car ended up on top of her and she was burned by the hot exhaust pipes. Ms. Schoenhaltz’ legal entitlement to fair compensation for her significant injuries and losses was reduced by 20 percent because of her failure to wear her seatbelt. It is not so easy in the majority of crashes. A seatbelt won’t help a driver in a driver’s side T-bone crash, for example. How about the majority of crashes where the injury is to the neck, caused when the head flies back and forth while much of the rest of your body is held firmly in place by a seatbelt? Perhaps it is these kinds of crashes that the fellow with the 28 seatbelt tickets is thinking about. 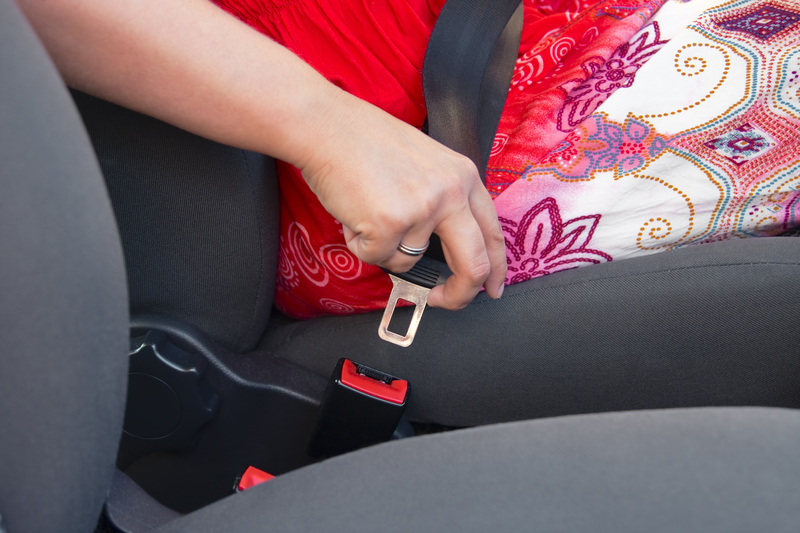 A traffic ticket or possible consequences to an injury claim shouldn’t impact on seatbelt use. How about we all do like the biomechanical engineers do and buckle up. Better yet, drive safer and eliminate the need for seatbelts altogether.